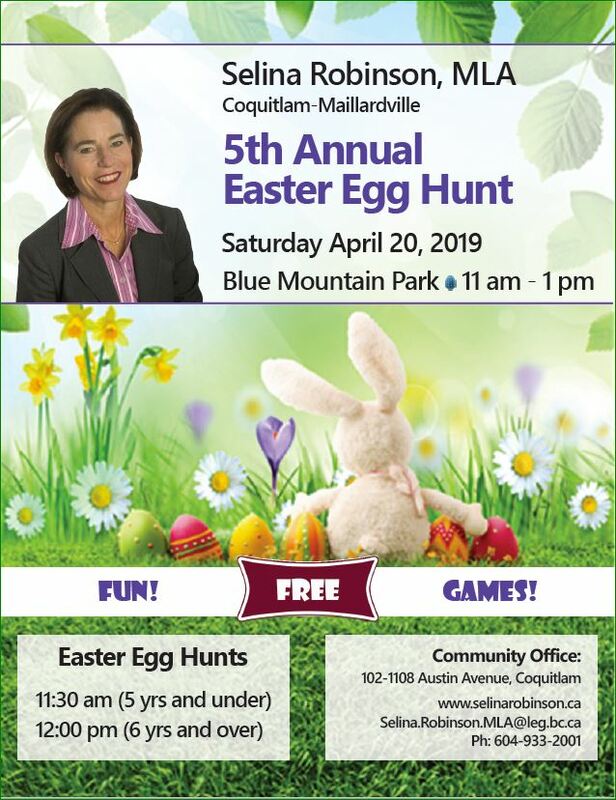 Please join MLA Selina Robinson and her special guest, the Easter Bunny for a fun-filled time at Blue Mountain Park. Kids are invited to participate in the Easter egg hunt and a variety of other games and activities. We look forward to seeing you there!